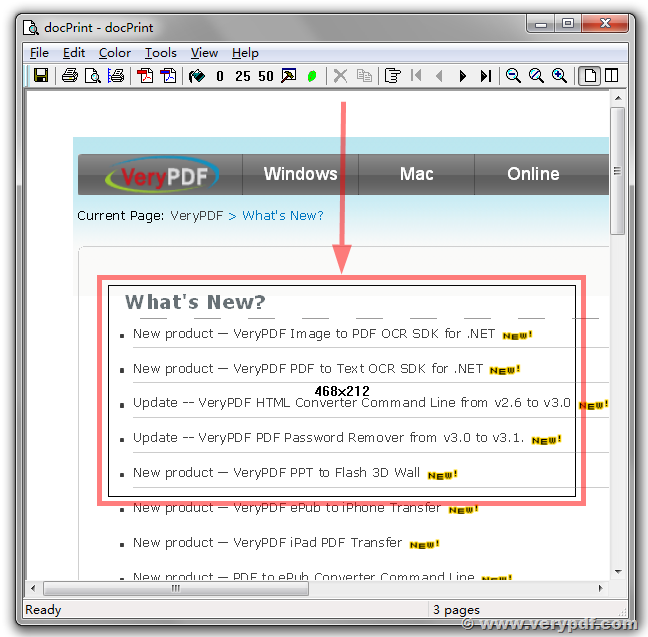 In the docPrint Preview window, you can save the the preview pages to PDF files without depend on docPrint PDF Driver. 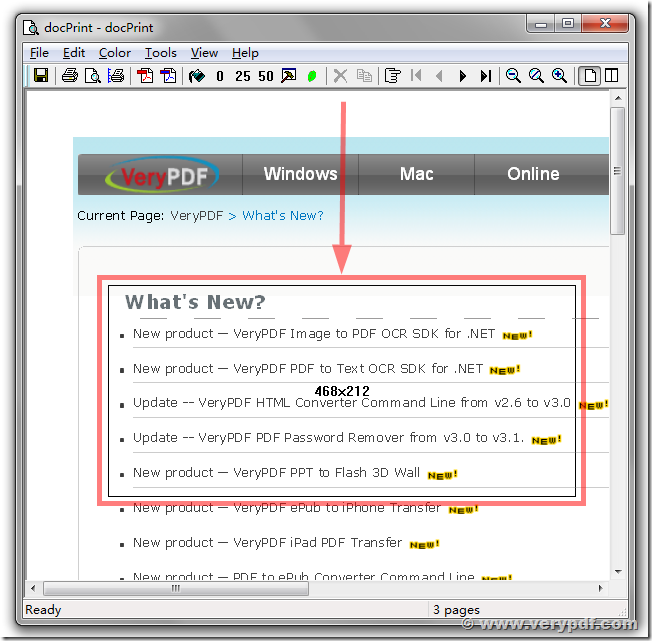 This function can be maximized to maintain the search capabilities of the PDF document. 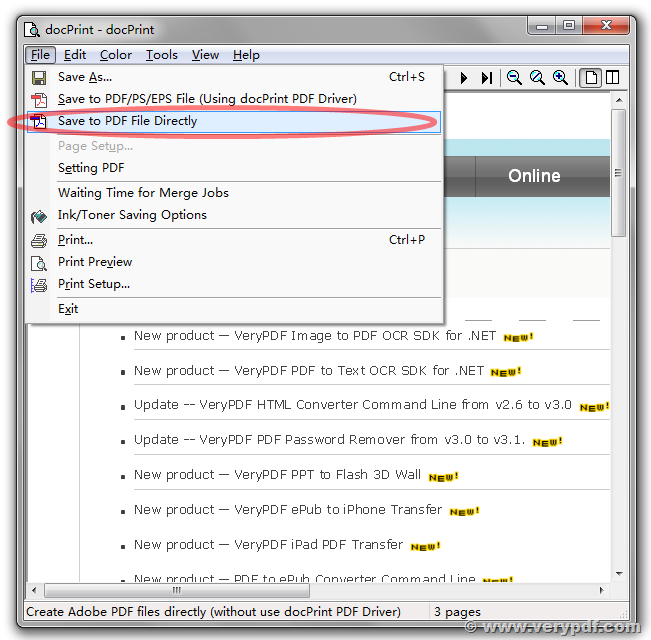 For example, if you use original “Save to PDF/PS/EPS File (Using docPrint PDF Driver)” function in Preview window, some generated PDF files may lose the search capabilities, when you search the keywords in generated PDF files, you may found nothing, however, with new “Save to PDF file directly” function, we can keep all text information in the output PDF files, so you can search the text in output PDF files easily. also, the speed of “Save to PDF file directly” function is faster a lot than “Save to PDF/PS/EPS File (Using docPrint PDF Driver)” function, because “Save to PDF file directly” function does write the preview pages to PDF file directly, it will save the time on initialize the printer, print the pages and shutdown the printer, etc. spooling operations. 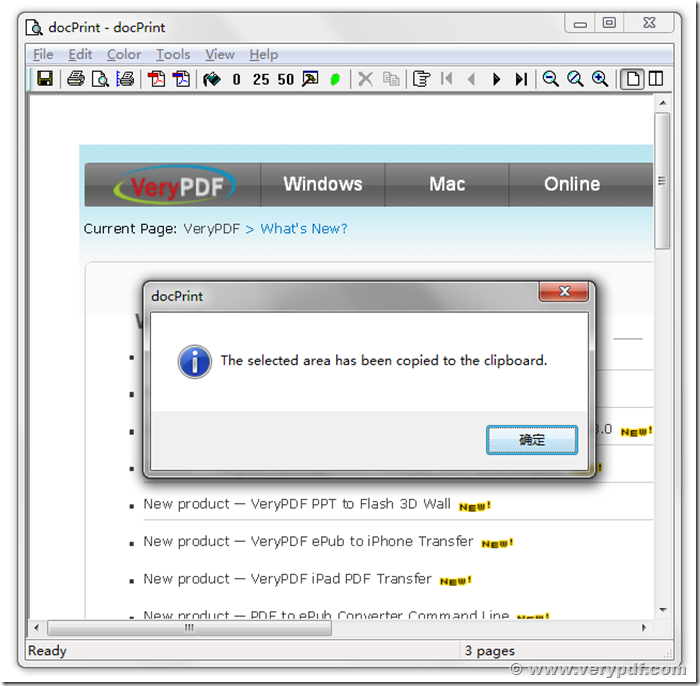 When you try to save to an existing PDF file, you will see above dialog. Overwrite: You can select “overwrite” function to overwrite existing PDF file directly. Insert before first page: You can select this function to insert current preview pages before the first page of existing PDF file. Append to last page: You can select this function to append current preview pages after the last page of existing PDF file. Select a new PDF file: You can use this function to select a new filename. Cancel: You can select this function to simple return and do nothing. You can use above functions to combine, insert or append preview pages to an existing PDF file easily. These functions will help you to collect the printed documents together, and organize them into one single PDF file. 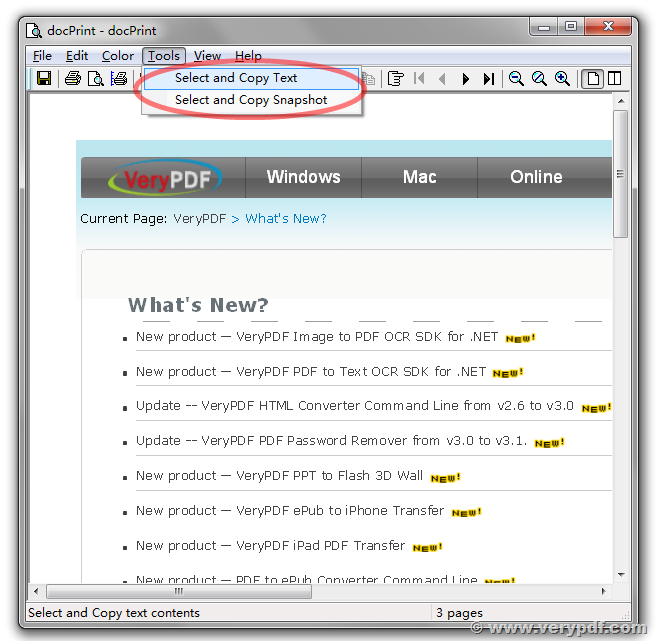 You can use “Select and Copy Text” function to extract text contents from printed documents easily. “Select and Copy Snapshot”: You can use this function to select a rectange on page and copy this area to clipboard as image. The selected area has been copied to clipboard as image, you can then paste it into Adobe Photoshop, MS Word, MS Excel and any other applications. How to print doc to jpg? How to convert MS PowerPoint documents of ppt to pdf? This entry was posted in docPrint Pro and tagged append pdf, append PDF pages, docpirnt, pdf merge. Bookmark the permalink. Thank you for some other excellent post. Where else may just anybody get that type of information in such a perfect way of writing?